Have you invested a considerable amount in Microsoft Project software, only to find your team isn't using it? Is your team wasting precious hours cobbling together a project management system in Excel, Word, etc? 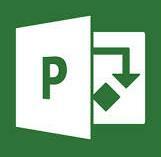 Would you like to use Microsoft Project to its full potential? Working on your PMP Certification and don't know what to do with MS Project? Then our Microsoft Project training is for you. We've taught employees from Atlanta's top employers how to use this software. Our curriculum is approved as preparation for Microsoft Certification Prep exam. Great communicator, was able to explain "how" the tools could be applied to our daily projects. I appreciated she linked the class to projects we gave her. She made sure we understood before moving forward. Answered our questions well, clearly, moved at a comfortable pace. Will now use the tool! Very personable, enjoyed the course. Tuition: $349 per day, $599 for both days (Discounts available for 3 or more attendees). Who Should Attend Our MS Project Training Courses? Anyone who uses Microsoft Project. Our public MS Project courses are limited to 8 students, providing you the opportunity to get 1-on-1 assistance. Can't attend our public classes? Want us to bring Microsoft Excel training to your site? We offer affordable, customized MS Excel training for groups of as few as 4 people. 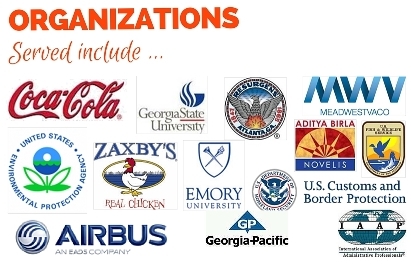 We've provided training for employees of some of the largest companies in the United States. Contact us or call 770.498.7333 for details. Please bring your laptop to this training. In these courses, you will learn how to use Microsoft Project 2013 to create and track a project plan. This includes creating a project, creating tasks and task dependencies, assigning resources, setting costs and more. Please see the web page for the full list of topics as well as upcoming dates. Want us to bring Project training to your site? We offer on-site training for 4 students or more. Click here to contact us or call 770.498.7333. In this course, you will learn how to use Microsoft Project 2010 to create a project plan. This includes creating a project, creating tasks and task dependencies, assigning resources, setting costs and more. Once you've created your plan, this course will teach you how to monitor the progress of your project. Topics include setting baselines and creating reports. For topics, upcoming dates, or to register for upcoming MS Project 2010 Advanced classes, click here. To register for upcoming MS Project 2007 Basic classes, click here. To register for upcoming MS Project 2007 Advanced classes, click here. $599 for the 2-day course. Project Basic and Advanced. Save $100 by registering for both days. To find out about upcoming dates, please click here or call 770.498.7333. Class size limited to 8 students - register early to guarantee your space. Want to know when the next class is scheduled? Want us to bring the class to your location? To contact us please click here or call 770.498.7333. Ms. Kiadii helps business professionals use technology to save time, lower costs and increase profits. She provides business technology workshops, customized software training, and Access database solutions. She has taught programs for hundreds of business owners, the Small Business Development Center (GSU), Small Business Administration (Atlanta), Women's Economic Development Agency, Georgia Center for Nonprofits. If instructor cancels class, students will be issued a full refund. If a student cancels registration, at least one week prior to class, instructor will issue a refund less $20 or 15% administrative fee, whichever is greater. No refunds will be issued if student cancels within a week of class; student will be issued a credit.